Grey London and Volvo UK have won Channel 4's inaugural Diversity in Advertising Award and £1m in free airtime for a campaign focused on non-visible disability. Grey's Volvo work beat competition from more than 50 campaign ideas tackling an array of non-visible disabilities, including depression, autism, deafness, Alzheimer’s and obsessive compulsive disorder. Adam & Eve/DDB’s Lloyds Bank entry was highly commended. In addition to the £1m in free airtime for Volvo, the six runners up (Bose, BT, Ford, Lloyds Bank, Marks & Spencer and Panasonic) have been offered match-funded commercial airtime if they produce the ideas presented to the panel. Volvo's ad will air in the autumn. The winner was selected by a panel of judges that included Campaign global editor-in-chief Claire Beale and Advertising Association head of strategy Karen Fraser, chaired by Channel 4’s sales director Jonathan Allan. Allan said: "This is a really important award which I hope will lead to a genuine step change in the advertising industry and see it embrace diversity more widely. "We set a really tough brief this year – putting non-visible disabilities at the heart of a campaign – and judging from the range, creativity and sheer quality of the finalists’ ideas, there’s a wealth of opportunity for advertisers and their creative teams to explore in this area." Caroline Pay, Grey London’s joint chief creative officer, added: "Proud does not even begin to describe how we feel about winning this prize. It’s a big deal for Grey London, a big deal for Volvo, but above all else a chance to change the way people with non-visible disabilities are represented in the media." Grey London has temporarily rebranded as Valenstein & Fatt in honour of its Jewish founders and to raise awareness of diversity. Earlier this month, Channel 4 revealed its shortlist of five agencies and seven brands for the award, including Abbott Mead Vickers BBDO and BT; GTB and Ford; and Brave and Panasonic. On top of the winning Volvo idea Grey was shortlisted another two times for separate client campaigns for Bose and Marks & Spencer. 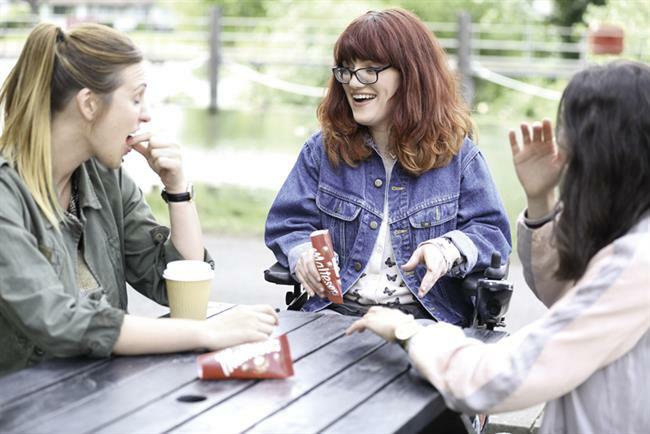 The Diversity in Advertising Award follows Channel 4’s "Superhumans Wanted" competition last year, which was won by AMV BBDO and Maltesers for a campaign that challenged perceptions of people with disability. The ads used humour to change mindsets. The campaign was both widely lauded and commercially successful.